Jio Phone became a great success for Mukesh Ambani owned telecom company Reliance Jio. And now, seeing the huge success of its first generation. Mukesh Ambani today announced and launched the all-new Jio Phone 2 with improved quality, design and with more features. The all-new Jio Phone 2 comes with a qwerty keypad which I liked a lot, and the feature phone looks like old BlackBerry phones. 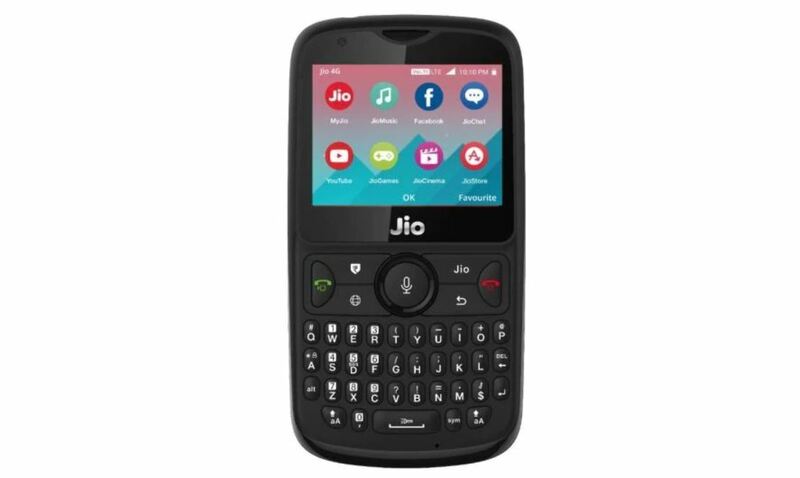 So, in this article, we are going to talk about Jio Phone 2 price in India, full specifications, pros & cons and all the other details such as Jio Phone 2 booking, registration process and exchange with old feature phones. So, without further due, let’s get started! 3 Jio Phone 2 Booking, Registration: How to Book Online? Reliance Jio introduced the first Jio Phone back in July-August period last year. 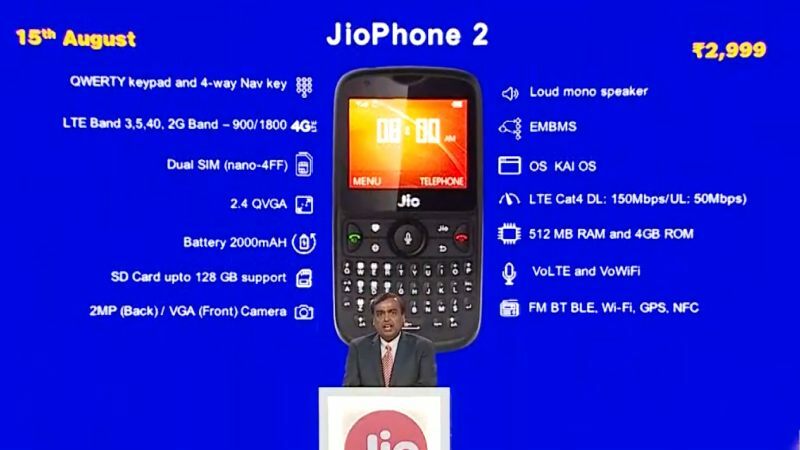 And Jio was the first company who brought the 4G VoLTE connectivity in a feature phone. Till now, Jio has sold more than 3 Million Jio Phones. This feature phone has opened a whole new market segment for telecom operators and smartphone manufacturers. But now, after the huge success of Jio Phone, Mukesh Ambani is launching Jio Phone 2. This will again get a huge sale as it comes with an even more smart look with a qwerty keypad. Along with that, Jio has also launched a new offer called Jio Monsoon Hungama Offer with this second generation Jio Phone. Scroll down to know about Jio Phone 2 booking/ registration process. As this is the upgraded version of Jio Phone, it comes with more features than it previously had. Jio Phone 2 comes with a qwerty keypad, 4G LTE & 4G VoLTE (voice over LTE), VoWi-Fi (voice over WiFi) connectivity options. 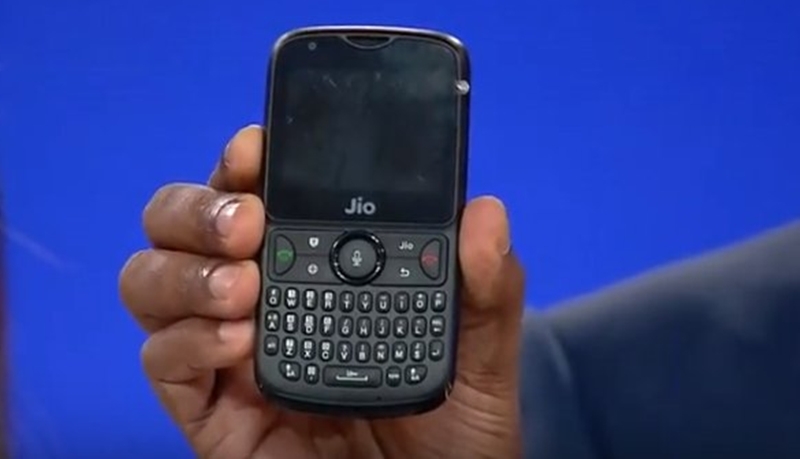 But the big difference between the old and new version of Jio Phone is, the new device comes with dual-sim card support making it compatible with sim cards of other telecom networks. So, you can easily use your existing sim cards which comes from other telecom companies rather than Reliance Jio in this feature phone. The feature phone runs on KaiOS, made by Google. In connectivity options, it now supports LTE Cat.4 by which, it can give up to 150Mbps internet speed on Jio 4G network. Loud mono speakers have also been added to the device which will let users enjoy the music more loudly than the previous version. Apart from all these features, the phone comes with a 2.4-inch QVGA colour display. In terms of storage capacity, it features 512MB of RAM and 4GB of ROM. Along with that, it supports up to 128GB of external memory via microSD card. The feature phone also has a 2MP back camera and a VGA front camera which can be used to video call over the internet or for the purpose of clicking selfies. Other specifications of this device include 2000mAh battery, EMBMS, FM, Bluetooth, BLE, GPS and NFC. In the middle of the keypad, one can also find the voice command button by which users can give the command to the phone by just using their voice without typing. The other awesome options of the phone are, the users can use Whatsapp messenger, Facebook and Youtube app on their feature phone. Reliance Jio Phone 2 price in India is Rs 2,999. Interested persons can pay the amount and buy Jio Phone 2 for them from any Reliance Digital Store or via online booking. The phone will be available for sale from 15th August 2018. But still, the other details of sale and offers are unknown. Hopefully, within a few days, Jio will announce those details too. Reliance Jio has also introduced a new offer with the Jio Phone feature phone. Under this Jio Monsoon Hungama offer, users can get Jio Phone at just Rs 501 by exchanging their old feature phone. From 20th July 2018, the exchange offer, also known as Jio Monsoon Hungama offer will be available. Here we will provide how you can exchange old feature phone to get Jio Phone by just paying Rs 501. Update: Exchange Offer is Now Live. Book your appointment from here to Exchange old phone by just entering your mobile number. Click Here to Check List of mobile phones eligibile for exchange. Both the front and back camera. Whatsapp, Youtube, Facebook app support. Supports up to 128GB microSD cards. Jio Cable Don’t Come with the phone. Price is too high compared to other feature phones. No WiFi Hotspot for Data Sharing with Other devices. Both Cameras are poor in quality. Jio Phone 2 Booking, Registration: How to Book Online? The Jio Phone 2 booking date is 15th August 2018. From this date, Jio will start taking pre-bookings/ registration for Jio Phone 2. You can use MyJio app or visit your nearest Jio Digital store to buy or book Jio Phone 2 easily. We have added the possible process for booking Jio Phone 2. On 15th August a banner regarding the booking of Jio Phone 2 will be added to the app. Now it may ask for your details, address. Enter them correctly. Submit all the required details and pay the pre-booking amount if needed. Once the payment is successful, Jio Phone 2 booking will be complete for you. First of all, visit Jio’s website www.jio.com or Flipkart, Amazon or Tata Cliq. Search for the Jio Phone 2 on the site. Once you find it, add it to your cart. Choose online payment or COD if available. Place the order, and that’s it. The phone will be now delivered to your address within 3-7 days. Hope you guys liked this article about Jio Phone 2 Booking. If there is any other query about the newly launched feature phone in your mind, let us know in the comments below. Bookmark this page also to get the further update on Jio Phone 2 registration, exchange at Rs 501 as we will update this page with the latest information as soon as it comes.